I was approached by the Center, which was founded and run by Danny Abraham, an American Jewish activist who was the founder of Nutri-System. Barak was in a tight race with Bibi Netanyahu and Abraham and his chief consultant, James Carville, wanted to know if there was a common denominator about the growing numbers of Russian emigres and Arab Israelis. 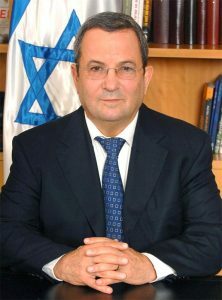 While the Russian Jews were very conservative and could be expected to vote overwhelmingly for Bibi, the Arabs could supply as much as 15% of the total voter turnout and were expected to support Barak. How to get Arabs to turn out, pick off some Russian support, and ensure a Barak victory? We needed to find the common denominator. Both the polls and the two focus groups (one of each group, held separately) showed that both groups were intense on the issue of “under-employment”. We passed that on to Carville who executed it perfectly. Barak won — but more importantly, Arabs turned out and Barak got more than 20% of the Russians.